Yesterday I had to work. You see, when an investigator is assigned a report, we must make contact with the victims within 24 hours. If we don’t, we must make a daily attempt to see them until we do make contact or until it becomes obvious they aren’t to be found. So I spent my Sunday afternoon driving a couple hours to this family’s home, stay long enough to realize they’re not there, then turn around and return back. I decided to stop by Bonsai by Dori to treat myself. 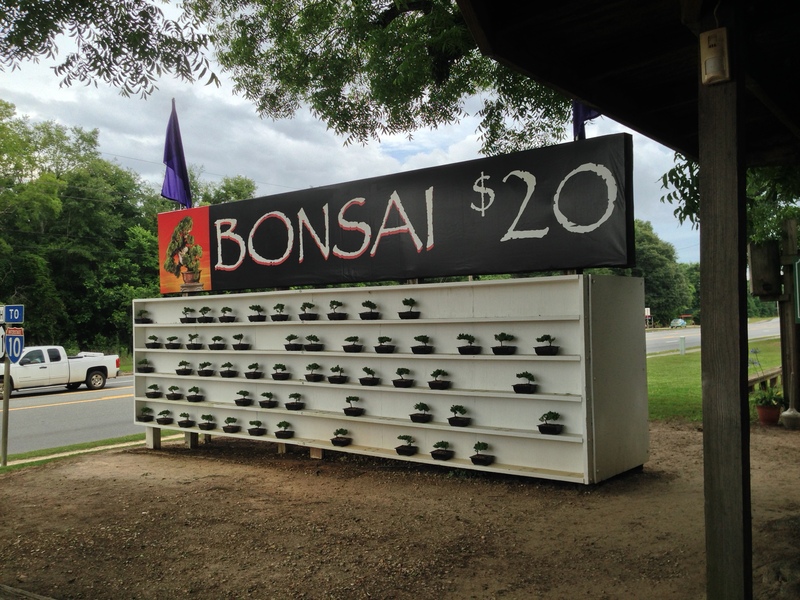 Bonsai by Dori is located on Highway 231 in Cottondale, Florida, on the way to Panama City Beach. 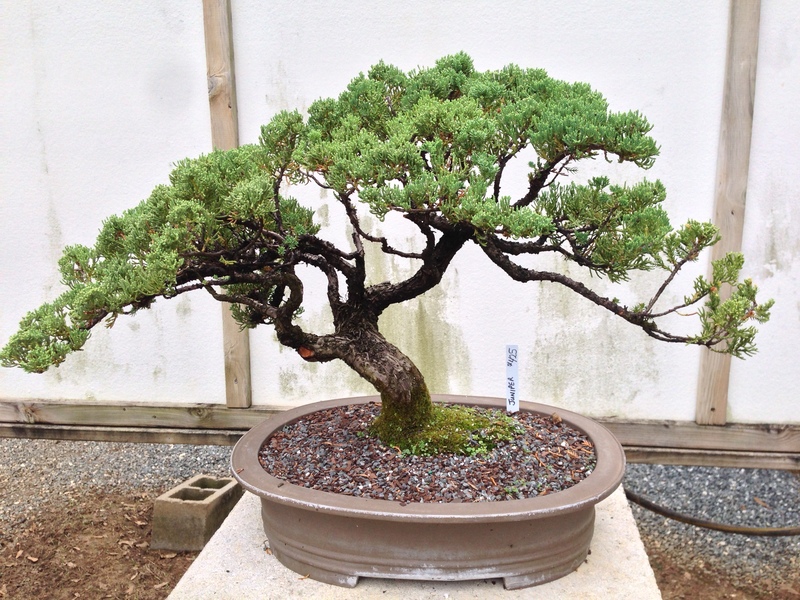 Here are some of the lovely bonsai they have on display. 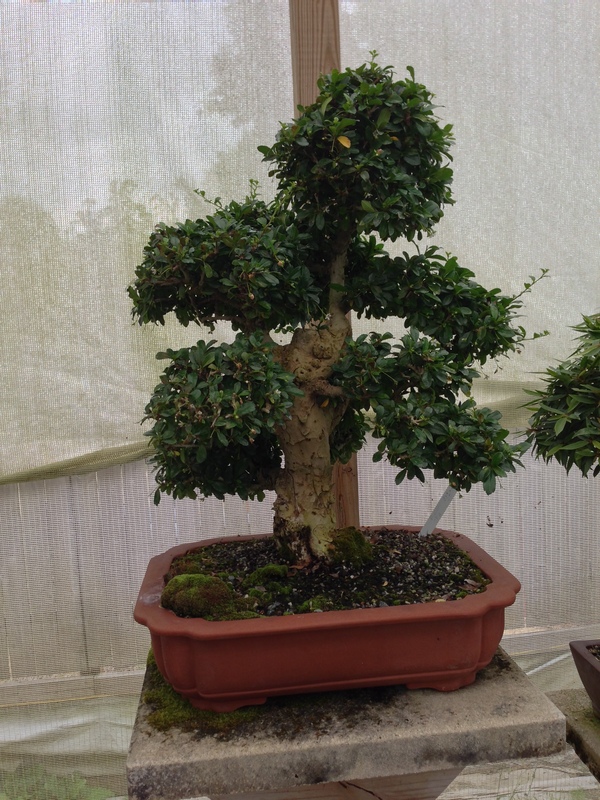 Dori told me they grew most, but the larger display bonzai came from China. I decided to treat myself to a bonsai. It’s a juniper! « I Got Treats Yesterday! That would be one lucky chew Lizzy. Bonsai bring good luck! Bonsai are FUN and fascinating……those are beautiful and I think your little juniper will be happy you took it home with you!! It is exciting to care for him. I wonder what his name is? OMC Those are amazin’. Enjoy. I think so too. Fascinating. Wow! 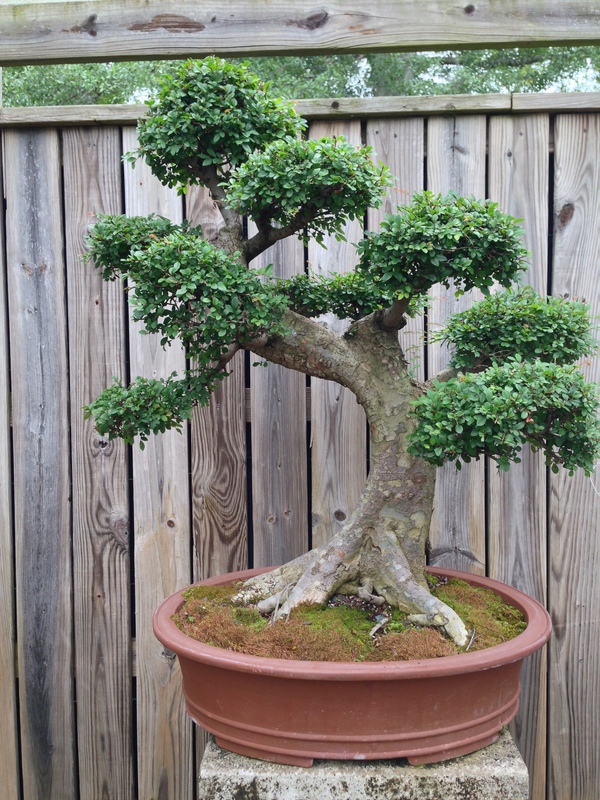 You know a lot about bonsai! Cool! Some are display only but there was one bonsai on sale for $5000! 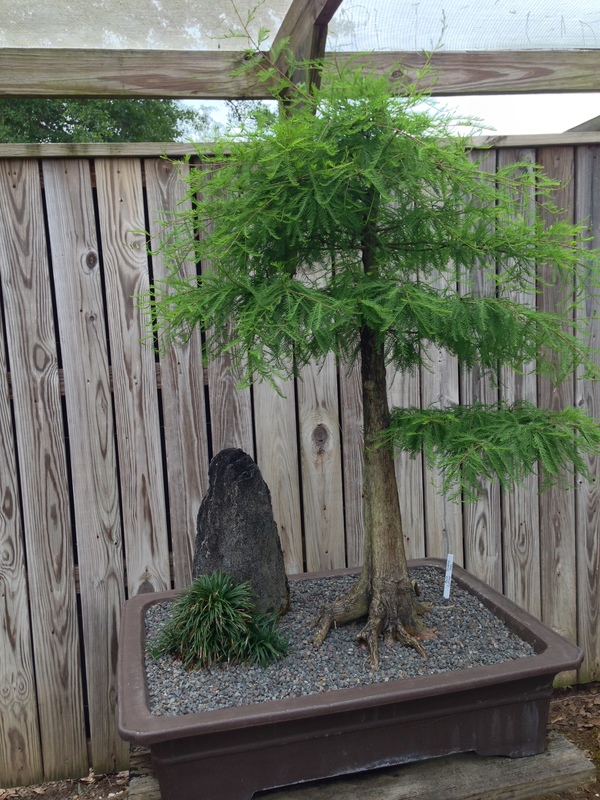 I am not a fan of bonsai because I am sure I would kill it. These are absolutely stunning. I would try it again if there were such beautiful varieties around here. I wonder what the cats would say? Our bonsai will be staying outside it’s recommended and probably best. Glad you’re treating yourself! Several cat rescuers in our group are also in your position, you need something to heal over the things you see. A juniper bonsai? I never knew you could get them like that! 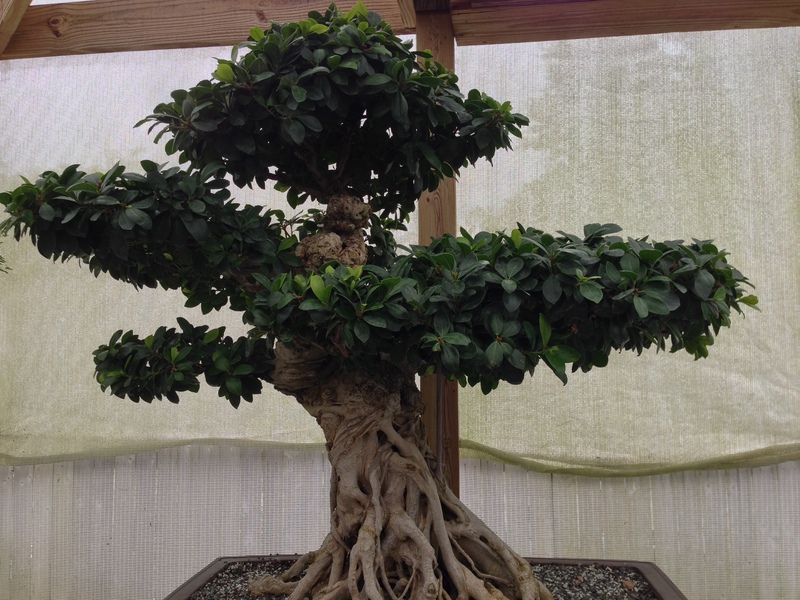 I have always been fascinated by bonsai trees, they are so different and beautiful! That one photo of the pink flowered one is just gorgeous! Oh I don’t know which one is prettiest. They are all gorgeous in their own way. Very pretty. You really hit the target with this one. I LOVE Bonsai. I don’t have any but I do have about 12-20 acorns from a couple of Willow Oaks we had in our backyard last year and I intend to start my own. These Willow Oak will make such beautiful Bonsai. I have never done this before so I will need to read a bit first but if I can just live long enough, I expect great things from them. I intend to choose three or four and concentrate on them. perhaps add a few more of other species as I find good candidates. Peace Jen and Rumpy and the cats too. Ooh! That sounds exciting! I got a handout with my bonsai. Apparently I have to trim the roots once per year, water it daily in the summer, and treat regularly for spider mites. How pretty. I know you did your research on whether they’re safe for dogs and cats. Like we couldn’t believe when we recently found out that those bamboo stalks in water they sell are toxic to cats, not that we had one but now we know not to get one. I have never been to that part of Florida. The bonsai are beautiful. Such a cute mini tree. Good luck with it. I know about working on Sundays. Those are great bonsai plants. They are so peaceful to look at. Great article! 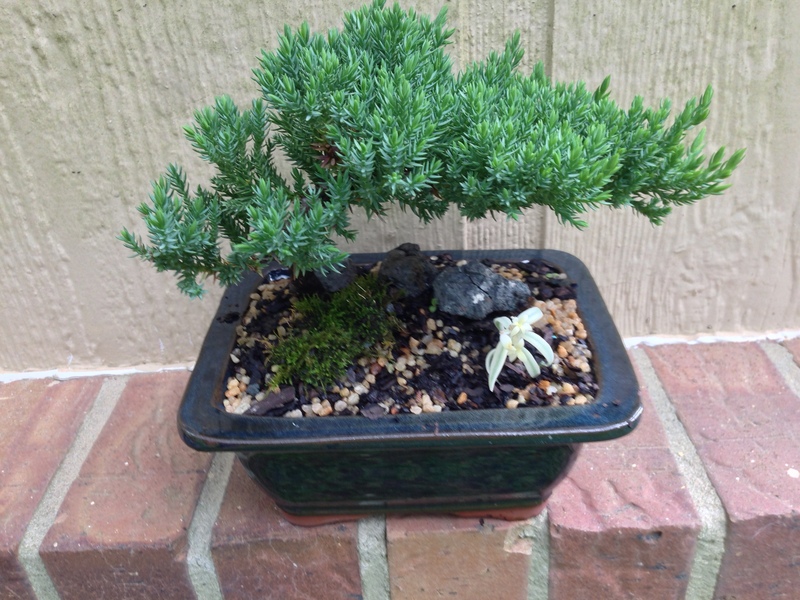 My Peace Corps buddy fiddles around with bonsai as a hobby. It gives him a lot of serenity. Wow! Really? How fascinating! I hope it brings me peace as well. I haven’t tried, but I’m going to work with my juniper now, as long as it hangs in there with me. Bonsai are awesome! My great uncle used to have several, and he spent so much time cultivating and caring for them. I have always loved them, but never considered that I could care for one myself. I named her Jennifer Juniper and I asked her to have patience with me as a newbie. Hopefully she’ll comply. 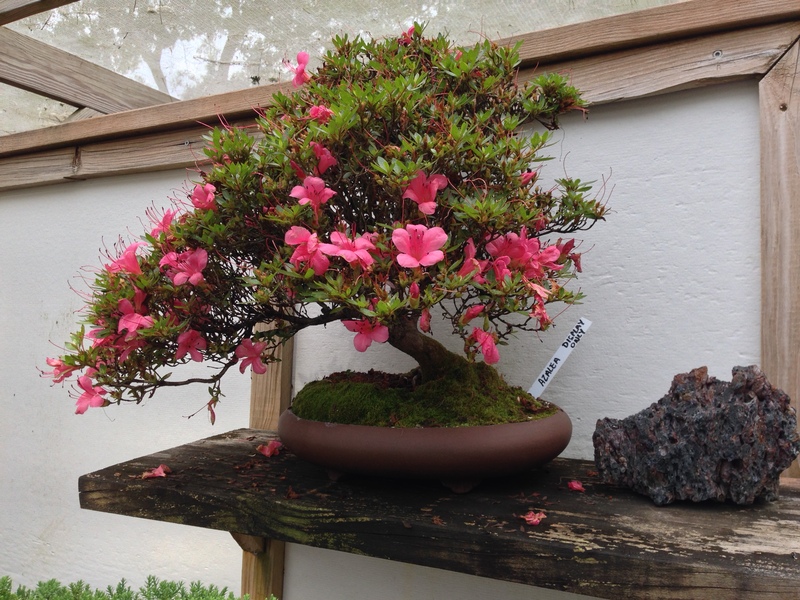 What a great treat… the Azalea with the bright flowers appealed to me but I love the shape of the Juniper. The azalea was lovely in person. Most of the azalea around here are no longer blooming so it was a treat to see it in full bloom.